The best hiking, skiing and outdoor adventures when you travel to Austria. You’ll discover beautiful lakes, snow-capped mountains and much more. One of my favourite regions for outdoors adventures is the Zillertal in Tirol. Carinthia is famous for its alpine mountains and lakes, like the Wörthersee, but it's also home to medieval treasures that many travelers miss! Carinthia is famous for its alpine mountains and lakes, like the Wörthersee, but it’s also home to medieval treasures that many travelers miss! New to the mountains? 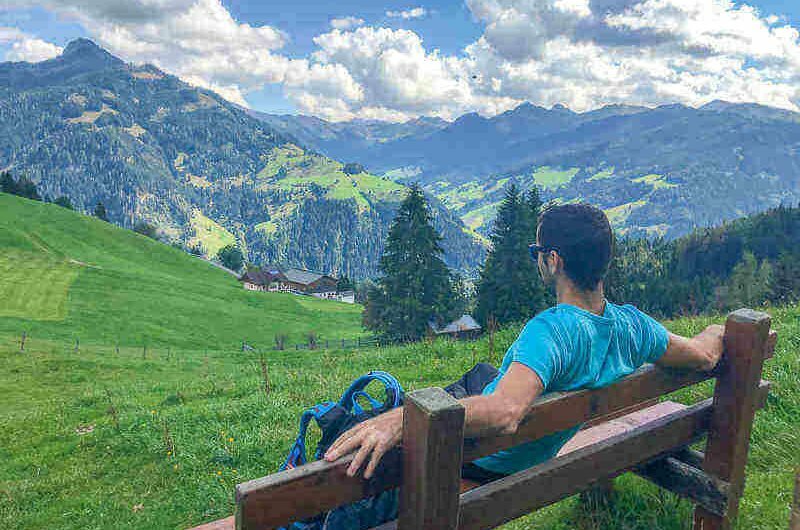 MoaAlm is an alpine retreat in Hohe Tauern National Park, Austria with guided hikes and a community atmosphere, giving you the opportunity to explore your limits! Stuiben Waterfall is the highest not only in the Ötztal, but in all of Tyrol measuring 150m! It's a family friendly hike to the top w/ viewing platforms. There's even a restaurant at the top in case you've worked up an appetite. Stuiben Waterfall is the highest not only in the Ötztal, but in all of Tyrol measuring 150m! It’s a family friendly hike to the top w/ viewing platforms. There’s even a restaurant at the top in case you’ve worked up an appetite. It wasn't easy, but I think I've finally found the most romantic place in Europe - the AQUA DOME Wellness Hotel, which turns its three levitating pools into a moonlight bath. It wasn’t easy, but I think I’ve finally found the most romantic place in Europe – the AQUA DOME Wellness Hotel, which turns its three levitating pools into a moonlight bath. Mostviertel Austria offers up some of the most unique hiking I've ever done including themed music hiking and historic hikes! Mostviertel Austria offers up some of the most unique hiking I’ve ever done including themed music hiking and historic hikes! AQUA DOME is worthy of a visit by itself, but fortunately it's Ötztal location in Tyrol ensures incredible scenery and an abundance of mountain activities. AQUA DOME is worthy of a visit by itself, but fortunately it’s Ötztal location in Tyrol ensures incredible scenery and an abundance of mountain activities. I usually write about Monkeys and Mountains, but Music and Mountains? This was a first. Check out the unique Wanderbare Gipfelklaenge (Hiking to the Sounds of the Mountains) held in Mostviertel, Austria in June. Krimml Waterfall is the highest waterfall in Europe and the world's fifth highest waterfall! It's no wonder its one of Austria's most visited attractions. I loved it! Krimml Waterfall is the highest waterfall in Europe and the world’s fifth highest waterfall! It’s no wonder its one of Austria’s most visited attractions. I loved it! The Nassfeld is a popular ski resort in Austria, but it offers action-packed adventures all year long. Every adrenalin junkie should try a Summer Rodelbahn at least once in their lives, but once likely won't be enough! I know I'm hooked! Every adrenalin junkie should try a Summer Rodelbahn at least once in their lives, but once likely won’t be enough! I know I’m hooked! Igloo Village – The Coolest Village On Earth? The igloo village is one cool place, complete with an igloo bar, but "Where do you pee?" I inquired. The igloo village is one cool place, complete with an igloo bar, but "Where do you pee?" I inquired. The igloo village is one cool place, complete with an igloo bar, but “Where do you pee?” I inquired. The igloo village is one cool place, complete with an igloo bar, but “Where do you pee?” I inquired.